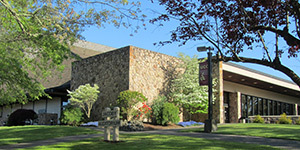 UCC’s Associate of Science in Human Services is provided in partnership with Southern Oregon University in Ashland, allowing for a seamless transfer for further study. Program coursework includes instruction in social sciences, psychology, principles of social service, social service law and administration, and applications to issues, services, localities, and populations. In addition to academic coursework, students also complete supervised field work. Emphasis is placed on the general study and provision of human and social services to individuals and communities. Fill out our response form. This will alert us that you are interested in the Human Services program. UCC’s Human Services program offers training for entry-level positions in social service agencies.